As I wrote in my older post – I booked and completed Professional Bridal Hairstyling Course with Pam Wrigley! “Create Beautiful” by Pam Wrigley is a Winner of the UK’s Best Wedding Hair Stylist award 2013. Head stylist Pam Wrigley is one of the UK’s most sought after and experienced stylists, creating beautiful wedding hairstyles in the UK and abroad. Step by step I started practising my new tricks and skills with few models/friends/clients – bellow you can see the effect. Thank you to all girls (Safoora, Eva, Jess, Loretta and Jennifer) for taking part in my phototoshoots. 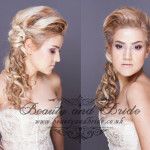 Make-up, hairstyling and photography by me, Dorota Ozarowska/DorotaMUA/BeautyandBride. No retouching. From a while I become a fan of hairstyling & signature looks made by Lizzie Liros wedding hairstylist. (voted Australia’s leading bridal hair designer for 5 times 2008-2012, 2013 Wedding Events Of Australia (WEOA) Award for Bridal & Special Occasion Hairdresser Of The Year.). I was lucky enough to get holiday in my work just for one day – so I could take a part to one of day of LizzieLirros-UK-educational-tour! Lizzie very first time in UK! Very first chance like this, and potentially only one for a while! I admire her professionalism, her hairstyles are so elegant and beautiful. I am happy to confirm that I completed in October 2014 full day Master Bridal Workshop with Bridal Hair Couture by Lizzie Liros!!! Unfortunately, I had little bit less time for practising, however I brought with me own materials + 2 books and 2 dvd’s of hairstyles step by step created by Lizzie Liros, so I have still a lot to learn and practice. 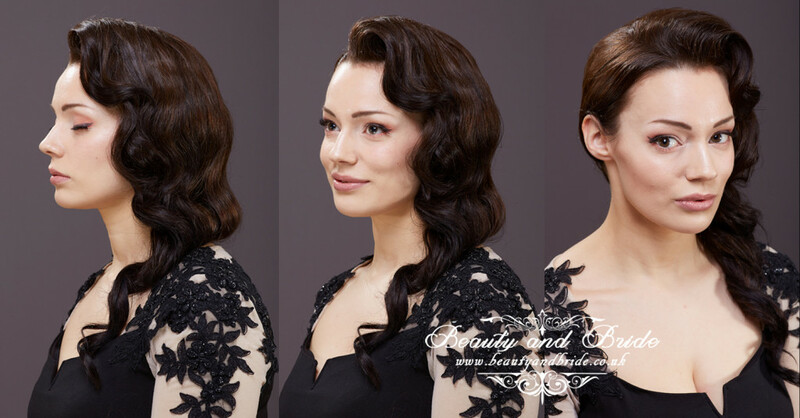 Here some hairstyles created by me, after course with Lizzie Liros. So in fact, I wasn’t posting recently a lot about my hairstyling & bridal project – but as you see, I was quite busy in updating my skills, overall hairstyling knowledge, foundation and my bridal portfolio.